Symbolism of the Lotus Flower in Buddhism. In Buddhism, the lotus flower is the symbol of purity, faithfulness and spiritual awakening. The flower germinates in the mud and lifts itself towards the light, representing the act of rising above the water of desire and attachment, the key for achieving spiritual enlightenment. Though the flower has its roots in the mud, it grows upwards toward the light, representing the aspiration to rise above ones failings and develop greater enlightenment. In other words, the flower stands for the journey from the darkness, represented by the muddy pond, to the light of knowledge, wisdom, harmony and peaceful coexistence with all other living species. In some respects this is the opposite of Christianity, where newborns are considered without sin but then tend to lead lives that require forgiveness preferably before death. In Buddhism different colours are associated with different spiritual meanings. For example, the blue lotus flower is said to symbolize purity of wisdom, the white lotus is the symbol of spiritual perfection and the red one is of the heart. 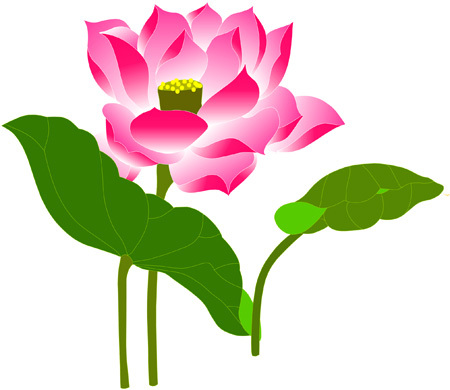 The pink lotus represents the historical ‘Buddha’ and hence is considered the most perfect. Growing from the mud, flowering in sunlight, the lotus flower uniquely sheds its seeds at the same time as it blooms. In Buddhism, this represents the principle of cause and effect, wherein every action or thought is believed to cause effect or reaction, that can be experienced either in this life or in the future lives after reincarnation.